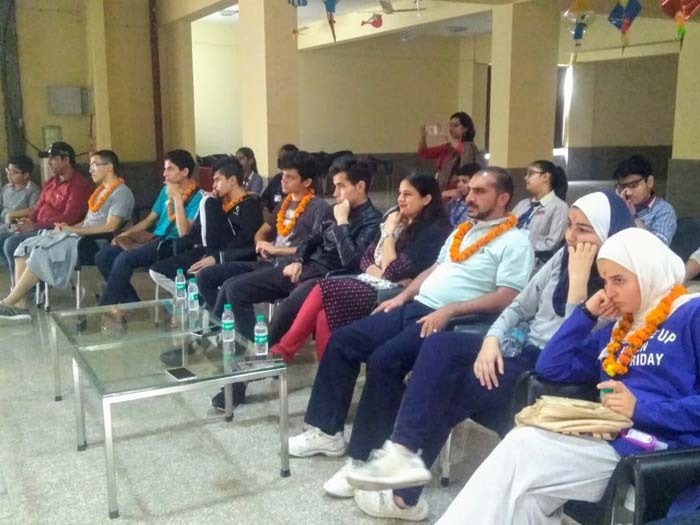 To begin with the journey of cultural exchange ,on 5th of November 2018, students from Jubilee School, Jordan visited our school. It was great honor to welcome our international friends to our school on this festive occasion of Diwali. We had the privilege to welcome the educator Mr.Omran along with his team of eight students Hamza Al Hayek, Hamza Farsakh, Laith, Lina,Mariam,Nabil Zaid and Zain. 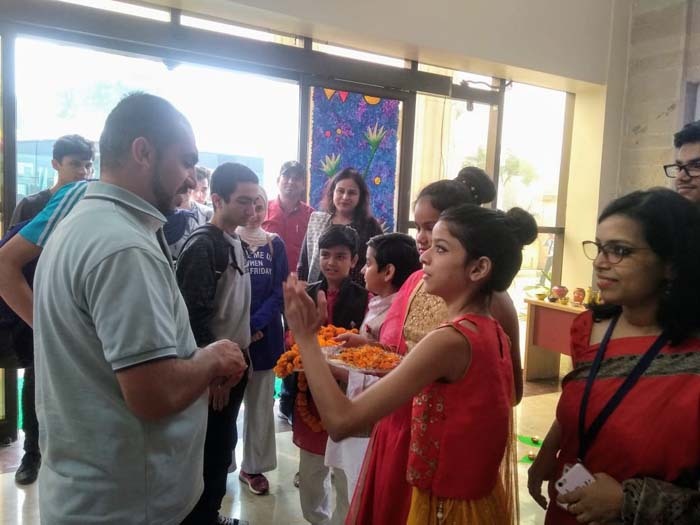 Our students warmly welcome them with tilak and garland. 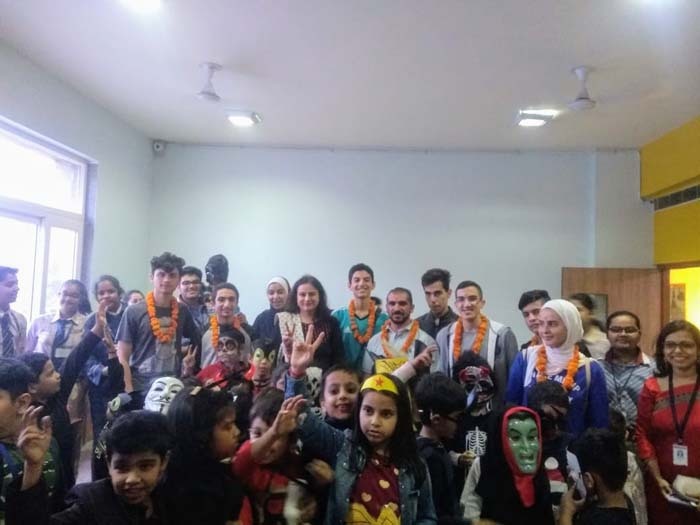 Then they had a tour of our school and witnessed the Halloween celebration by junior students while interacting with the senior class students. Students of classes V to VIII arranged a mesmerizing cultural program for our guests and performed the famous folk dance forms of Rajasthan and Gujarat named Kalbelia and Dandiya respectively. They also performed Kathak to the tunes of Hindi song number. To bring forward our rich cultural diversity students showcased a fashion show adorned with traditional regional attires of different parts of India. Guest students also performed their famous dance form Dabkeh before our students to display their cultural inheritance. In the end guest students learnt the steps of Dandiya and Bhangra from our students. 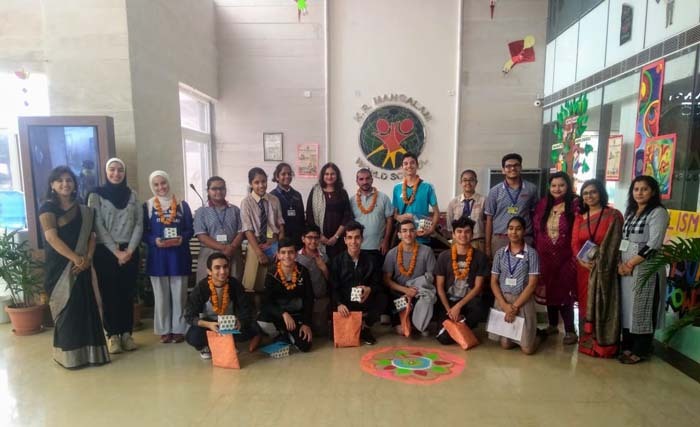 Our students present handmade cards and souvenirs to the guest students as a small token of love. It was a wonderful experience for our students to have such an opportunity to interact with peer students from neighboring country.